So with the new year underway I have decided to start a monthly challenge for myself, simple idea to pick a miniature or unit and challenge myself to paint it with the month. I decided to start this so I could set myself a reasonable amount of painting. 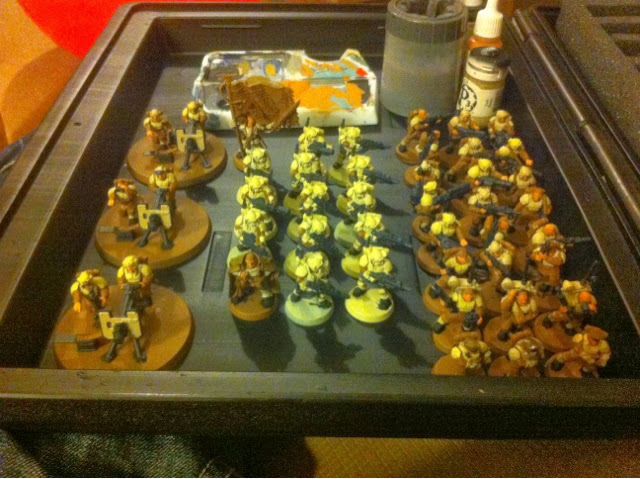 I'm posting updates on my other blog as that is dedicated just to my imperial guard.